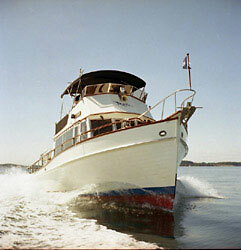 Stepping aboard of M.Y, Pacific Breeze a beautiful Grand Banks Classic 50 is a joy for lovers of natural wood joinerwork. 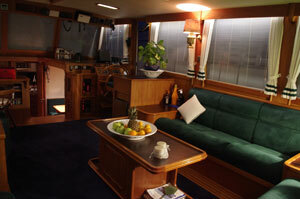 While exterior teak is restricted to cap rails and decks, the cabin inside glows with warm wood. 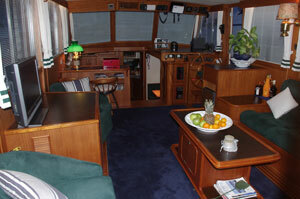 Teak and holly sole and teak cabinetry is of the highest caliber, and has furniture-quality finish and craftsmanship. Dependable and fuel-efficient at displacement speeds, the Caterpillar with 375s HP each are capable of cruising at speeds around 7 - 9 knots, and can achieve a top speed of around 14 knots. The interior offers abundant stowage in lockers and drawers, and Old World-style craftsmanship is mated to modern day products — including designer touches. The warm glow of natural wood is tempered and accentuated by white surfaces and headliners — and large windows allow plenty of natural light and a view around the entire boat. 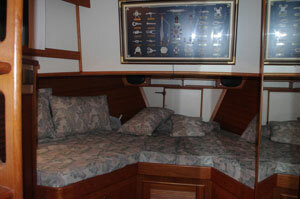 The master stateroom suite is aft. 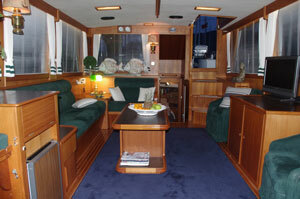 A walk-around queen-size berth is a popular option, ensuite full head with a separate stall shower. 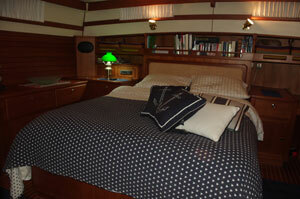 The forward stateroom, which offers a V-berth is also equipped with full head and separate stall shower. In addition to the charter fee, you will also be asked to pay an APA (Advance Provisioning Allowance) of 25-30% of the charter fee. 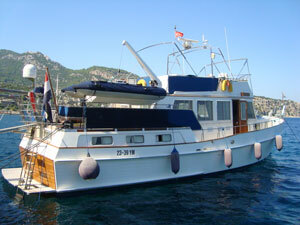 This is given to the yacht's captain in cash prior to your charter to allow him to buy fuel, provision the yacht with food and drinks as per your demands, and cover any other expenses relating to the cost of your charter (including fuel for RIB or other tenders or jetskis; fuel for generators; consumable stores; berthing dues and other harbour charges away from the yacht's own berth, including pilotage fees and charges for water and electricity taken from the shore; laundry, telephone, fax or telex via radio or Inmarsat). At the end of the charter, the captain will produce full accounts of all expenditure. You will either be refunded any money not used or asked to pay any additional costs not covered by the APA. 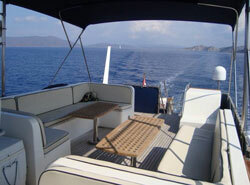 Each charter is a customized experience which includes all food and beverage just for you. 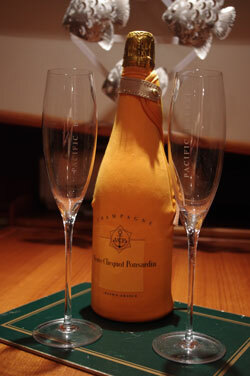 We will send you a detailed questionnaire obtaining you preferences for food and beverages. It’s crucial the yacht crew has this specific information so they can make appropriate provisions before the start of the charter to ensure they have everything require. Herrn Jörg Schneider; www.tcp24.com - info@tcp24.com . All information's shown above are for informational purposes only and non-contractual. 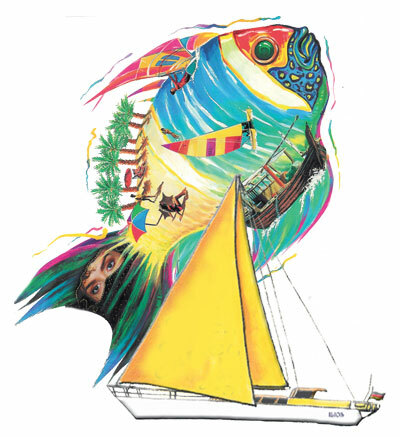 Unless otherwise stated, prices do not include fuel, food, drink and port charges. The attached specification has been prepared in good faith on the basis of information provided to us and we are therefore unable to guarantee the accuracy of the contents. Prospective charterers, purchasers or interested parties are strongly advised to employ an independent marine surveyor in the case of a purchase, have a yacht surveyed and sea trailed before completion. In the case of charterers, that they have satisfied themselves that the information supplies is in accordance with their requirements. 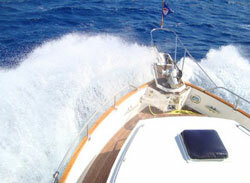 Ilios-Yachting act as agents and are not principals in the sales or charter agreements. All prices and specifications are subject to change without notification. 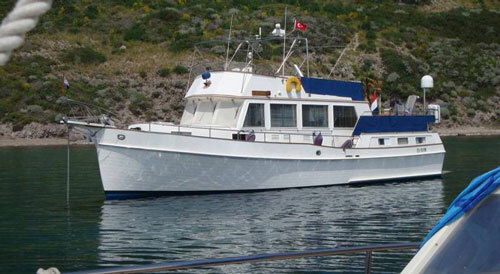 The above Yachts are a small sample of our world wide yacht selection.